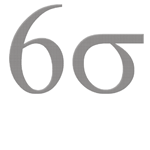 Six Sigma training is a pre-requisite in many companies nowadays. Many individuals are taking training classes in order to improve their qualifications and gain a higher standing in their work place. Six Sigma is a process in which the service and production capabilities of a company are improved by way of a specialized program. Through this system, companies are able to successfully reduce the ratio of defects to as low as 3.4 defects per million products (DPMO). In this day and age, Six Sigma is the most successful method for businesses who wish to reduce their problems and produce high quality products. It has thus become one of the most effective methods of achieving this goal. As a result, this type of training is regarded as a major advantage which many employees are flocking towards. Many large companies, who are alerted to the effectiveness of Six Sigma training, are now offering their own on-site or online courses. These courses are aimed at outfitting their staff with the tools needed to improve the business. This helps in improving their profit margin and customer satisfaction. This standardizing process is aimed at statistics and data collecting which properly outlines the downfalls of any business it is applied to. Trained and certified staff is then able to appropriately use this process to rectify and control these problems which significantly decreases the company’s defect rate. For example, manufacturing companies use this process as a means to identify mistakes and defects in the production process. It is also able to debunk other methods of decreasing defects like the popular and time consuming trial and error method. Instead, Six Sigma is able, through data and statistics, to accurately pinpoint the exact area where defects are produced and suggest steps toward improvement. As a result, the training of employees and staff in this process is a great advantage and investment for any business regardless of industry or niche. Six Sigma training can be applied in various ways. The company can offer on-site or on-line courses or even a combination of both. On-site courses are by far the most effective method, but are unfortunately also the most expensive and the most time consuming. On-site courses for businesses are done by inviting a certified trainer into the company. Online courses are done at the employees’ own time, at any computer with internet access. On-site lessons are usually applied by larger companies who have the means to fund them while online lessons are usually taken on by smaller companies with tighter budgets. On-site training is more effective because each worker is trained by a competent certified individual where they will learn within the best environment. This method is much more practical and takes a shorter amount of time to complete. The on-site trainer will be available to answer any questions which arise and impart knowledge that may not be readily available in an online setting. Online lessons are much slower but have their own benefits. For instance, employees will be able to move at their own pace rather than try to keep up with the fast paced courses in an on-site setting. They will also be able to schedule classes when it is more convenient to them. They will also have access to a trained and certified Six Sigma expert via email/chat. Regardless of which Six Sigma training option is chosen, certified employees will be able to successfully implement the tools and processes needed within a business to effect change and bring about increase quality and profits.